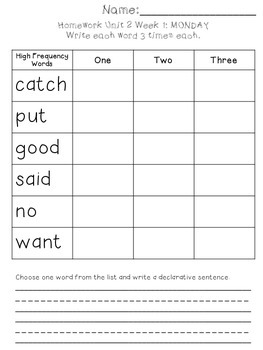 Monday: Write the high frequency words 3 times each, write a declarative sentence using one word. Tuesday: Write a declarative sentence for 4 of the high frequency words. 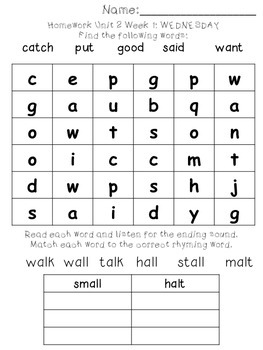 Wednesday: Word Search, and rhyming match up using high frequency words. Thursday: Write the high frequency words in alphabetical order. Refrigerator list: Included for each week is a list for students to keep at home. 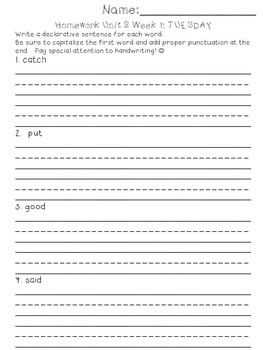 Spelling words, high frequency words, and amazing words are included on the list. I included all the words to differentiate for students at different levels. 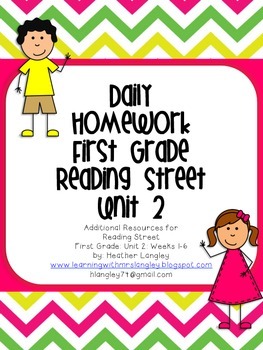 Also included on this list are "spelling word ideas" to practice words at home with a grown up.